Toughening its stand, the Indian government has conveyed to the BlackBerry makers to install its server in India for tracking its messenger and enterprise mail service as the offer made by it to provide data from its Canada-based server could be detrimental to national security. Officials of BlackBerry maker RIM (Research In Motion) had offered to provide information on a deferred basis after it faced the threat of a shutdown of the core features by August 31 if security agencies cannot gain access to heavily encrypted corporate email sent on a Blackberry handset. 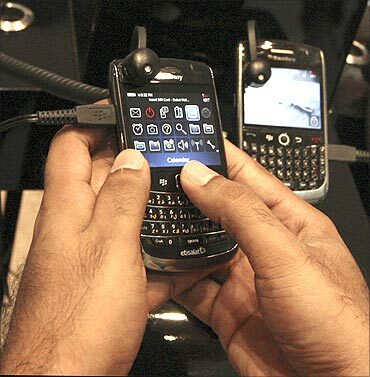 The RIM had provided an option to the security agencies and officials of the home ministry that they could hand over the details of BlackBerry phones needed to be monitored and the firm in turn will decrypt the BlackBerry Messenger (BBM) and BlackBerry Enterprise mail Service (BES) of the smart phones in question, sources in the Telecom Ministry said. 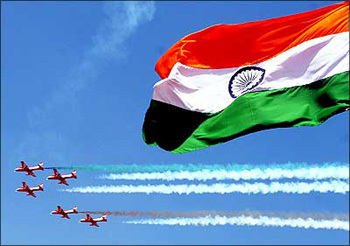 The RIM officials were ready to provide the information initially manually and later through a non-human interface using the 'cloud computing environment' method under which a separate wall created in the server and code and pass-code is handed over to the overall coordinator, in this case India, the sources said. However, the proposal was rejected prima facie as security agencies claimed that handing over telephone numbers for monitoring was fraught with the danger of exposing the source to an outside company and thus can be detrimental to country's security, the sources said. Even the automated system of extracting information from Canada-based server was not free of danger because the information could be hacked midway, the sources said. The sources said that RIM officials were conveyed in no uncertain terms that they should deploy their interception server in India with the Indian Service Provider having a definitive tracking system. 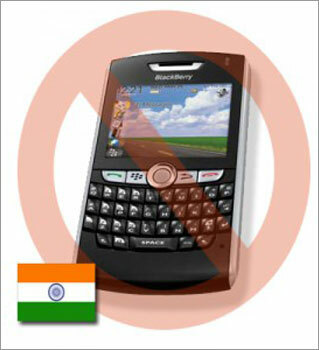 Taking serious exception to BlackBerry's inability to provide a solution to BES, the home ministry again wrote to the telecom ministry that if the RIM officials in collaboration with the service providers do not come up with a solution to BES, the service should be stopped immediately. The BES is a technology of the BlackBerry where by a close user group within a few individuals is created and no mails sent from their smart phones to each other can be intercepted, the sources said. Earlier the BlackBerry, which has over one million connections in India, had come up with a proposal of under which a mobile number that needed to be monitored would to be handed over to the RIM who in turn will provide the information within a maximum of 10 days. However, the security agencies insisted on a real time information rather than a deferred one in the interest of national security. The BlackBerry makers are racing against time to meet the August 31 deadline set by the government earlier this month to provide a solution for intercepting the BBM and BES or see the prospect of the mobile phone's popular services being shut down in the country. The government is firm that any proposal of RIM would be accepted only after security agencies are satisfied with the technology of interception.